Matt Vanderwerken is the Operations Manager. In this role, he is responsible for managing several functions of the Operations Team, including business administration, facilities, information technology and risk management. He works closely with Community Foundation staff to ensure business operations run effectively, to recruit new talent and to implement new systems for optimal workplace efficiency. Prior to joining the Community Foundation, Matt worked as a Program Manager at Elephant Energy in Ondangwa, Namibia, where he developed an initiative to supply affordable solar lamps to rural communities. Matt had served earlier as a Peace Corps volunteer in the Namibian town of Sangwali. 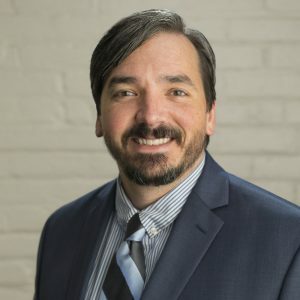 He also has experience in marketing and information systems and founded Operation Northern Comfort, a nonprofit organization for disadvantaged individuals in Syracuse. Matt received his B.A. in Physics from the State University of New York at Buffalo and M.B.A. from Colorado State University.